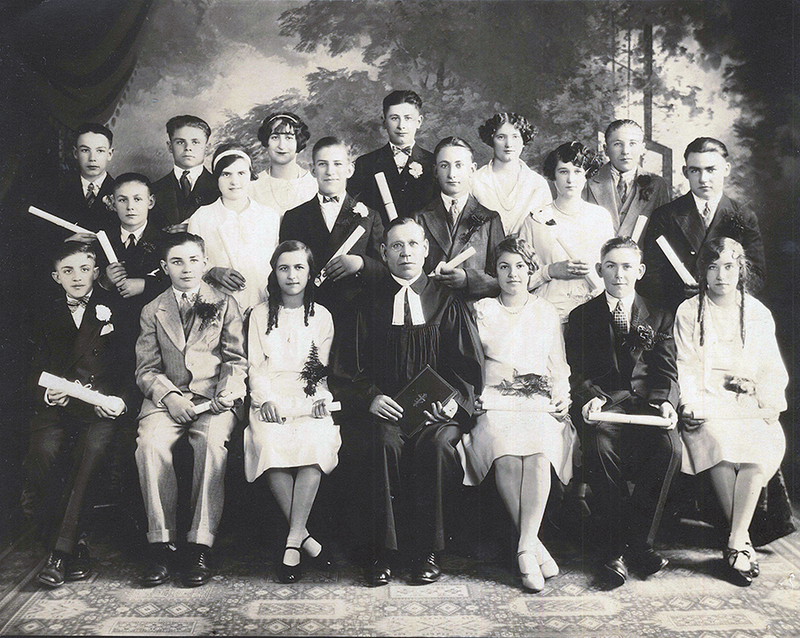 The St. Pauls Evangelical and Reformed Church Confirmation Class of April 10, 1927. Front row from left to right: Alexander Erdman, ?, ?, Rev. Elias Hergert, Mollie Dietz, Alexander Schmidt, Marie Melcher. Middle row from left to right: George Hergert, Ann Schierman, Freddy Schimpf, ? Denner, Rose Gideon, ?. Back row from left to right: Henry Alder, Alex Miller, ? Becker, Henry Dietz, Mollie Ziegler, ? Steinmetz. Alexander Schmidt (Smith) confirmation certificate from St. Paul's Evangelical and Reformed Church dated April 10, 1927 and signed by Pastor Elias Hergert. Document courtesy of Steve Schreiber. 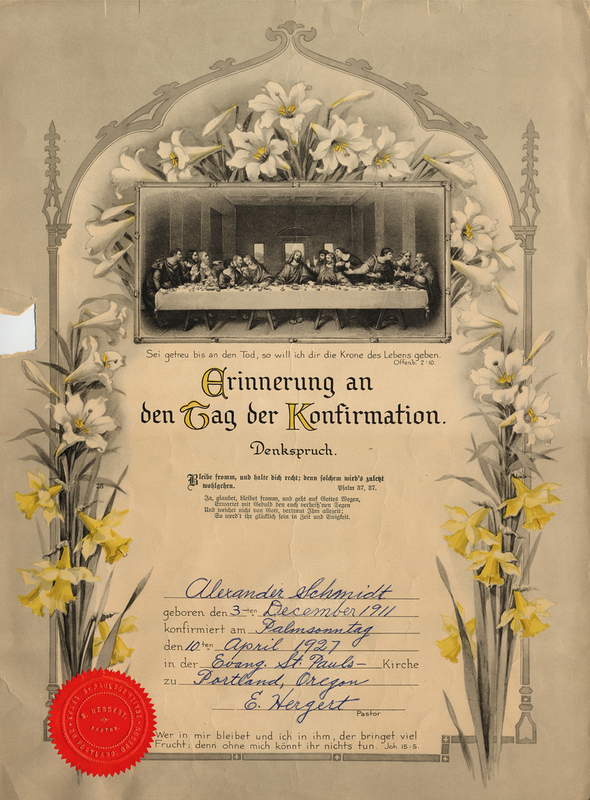 Alexander Erdman confirmation certificate from St. Paul's Evangelical and Reformed Church dated April 10, 1927 and signed by Pastor Elias Hergert. Document courtesy of Russ Erdman. Photograph and identification of Alexander Erdman courtesy of Russ Erdman, the son of Alexander Erdman. Alexander Schmidt was identified by his nephew, Steven Schreiber.